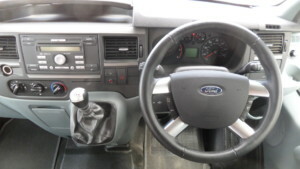 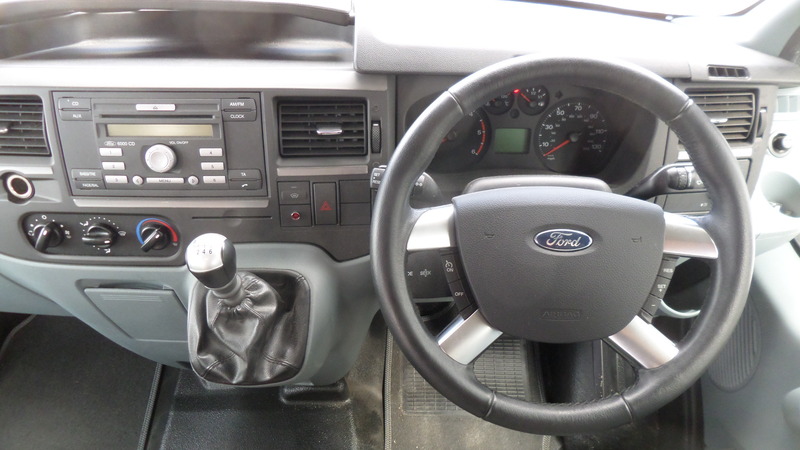 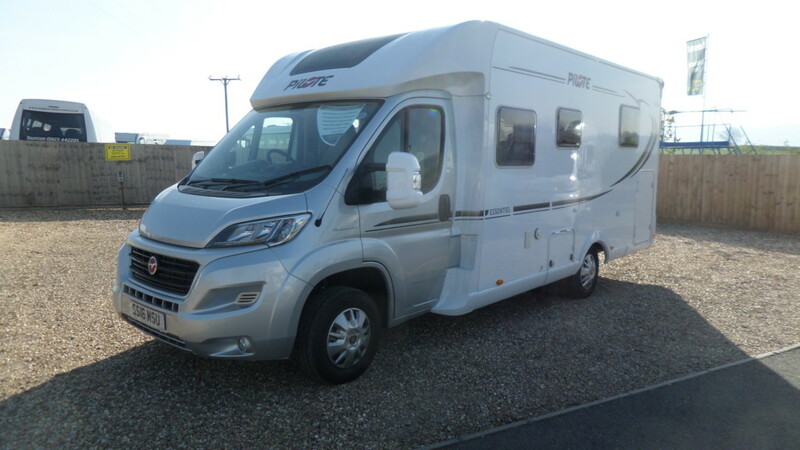 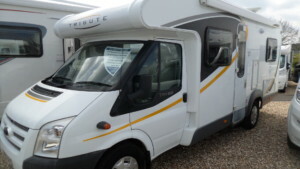 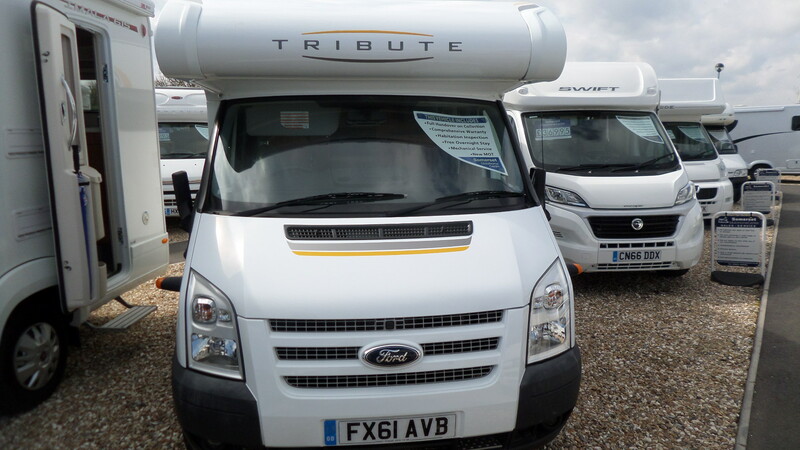 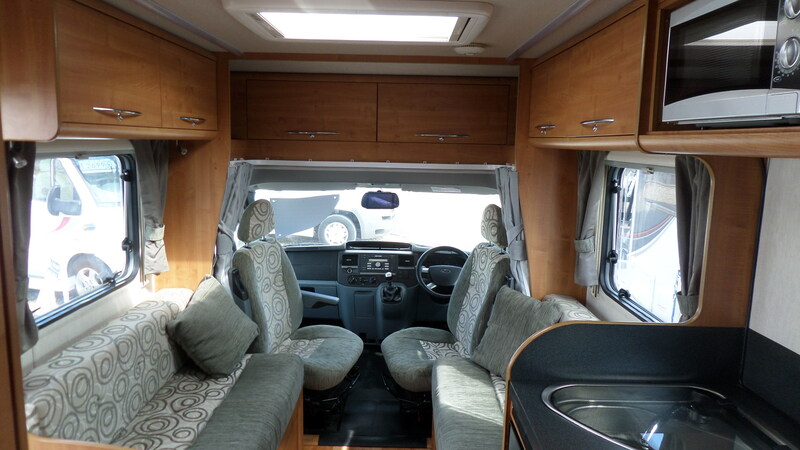 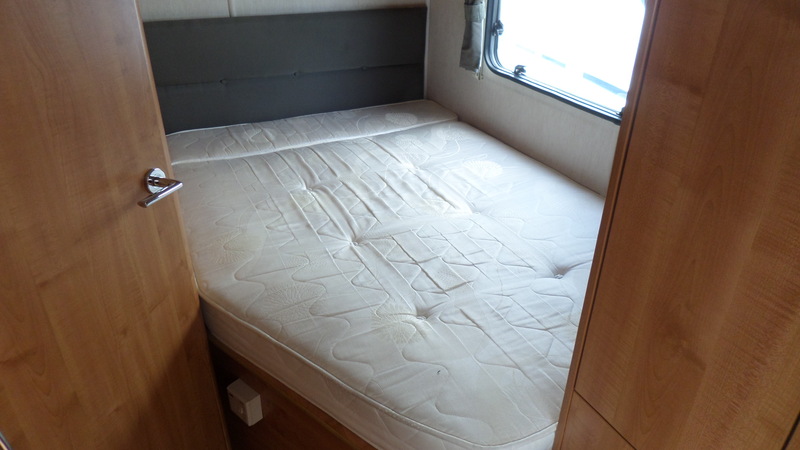 This immaculate 4 berth Tribute T715 model from Autotrail is on a Ford chassis with very low mileage of 15,558. 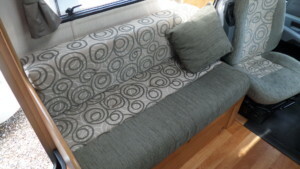 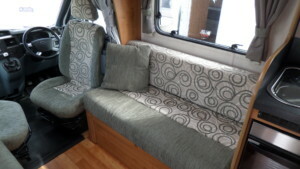 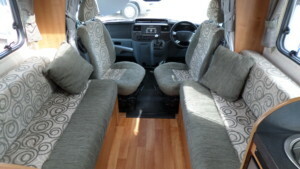 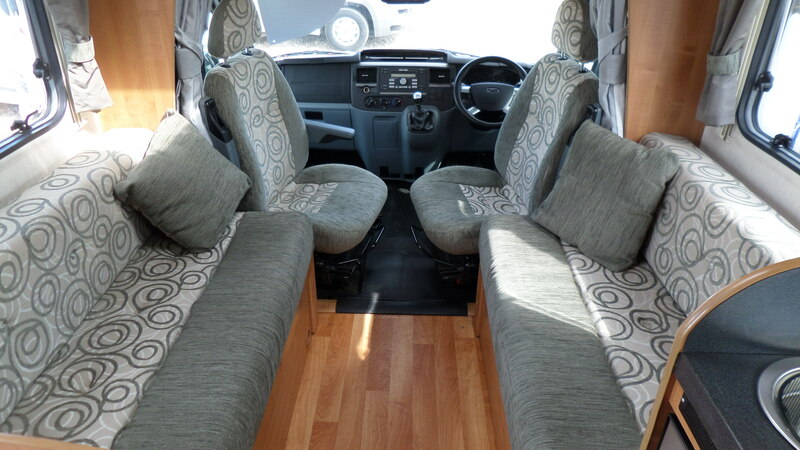 At the front both passenger and driver seats swivel creating a large open space for entertaining or relaxing, making up the front lounge/dinette are 2 side facing bench seats that easily make up to a double bed in the evening. 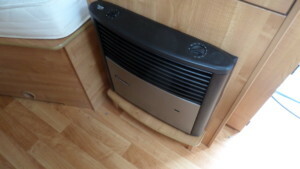 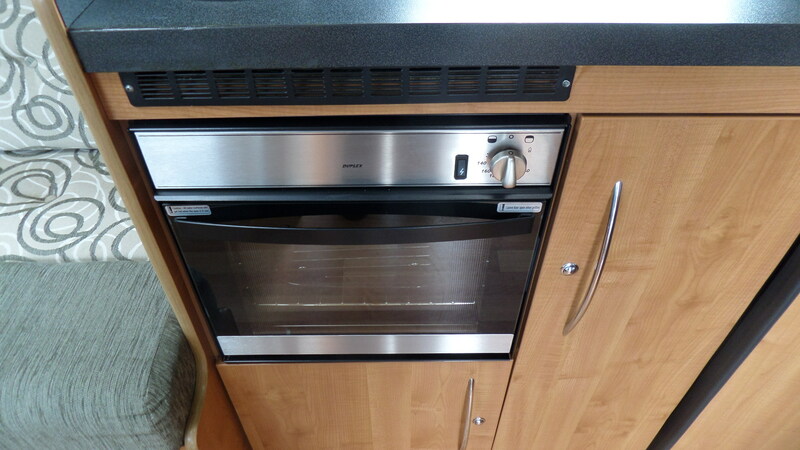 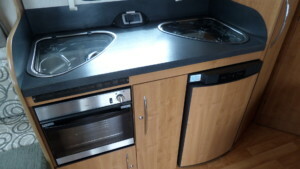 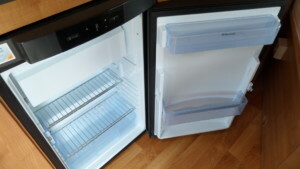 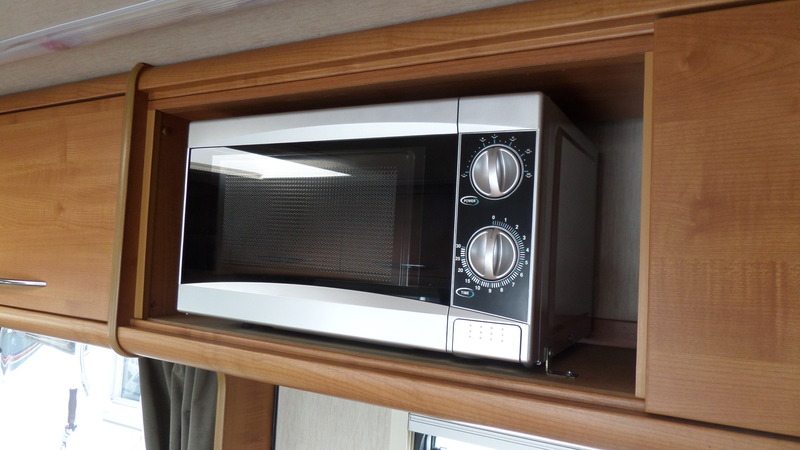 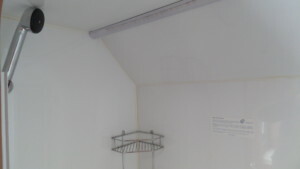 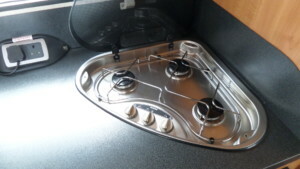 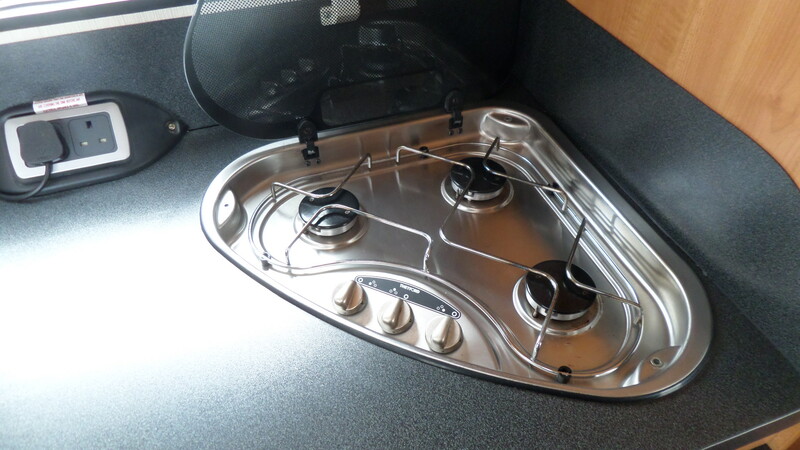 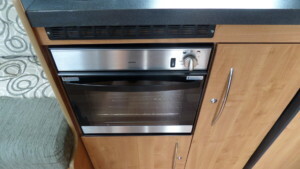 There is a mid-side kitchen consisting of an oven/grill, sink, 3 gas hob burner, microwave and a fridge. 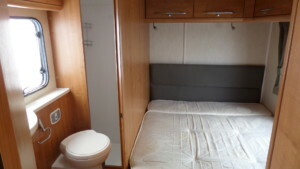 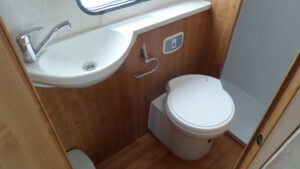 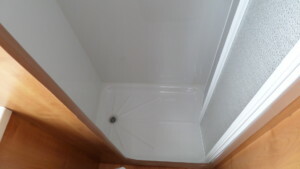 At the rear is a double French style bed and a spacious rear side bathroom consisting of a toilet, sink and separate shower cubicle. 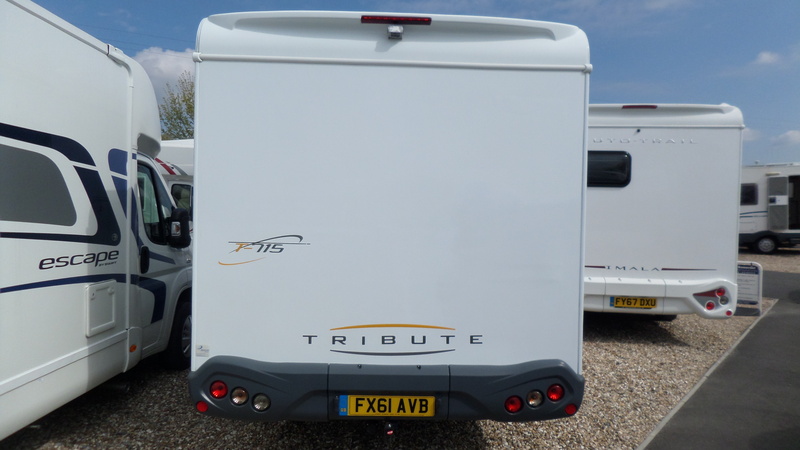 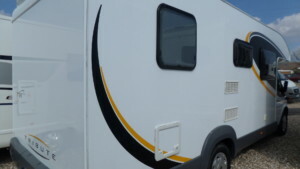 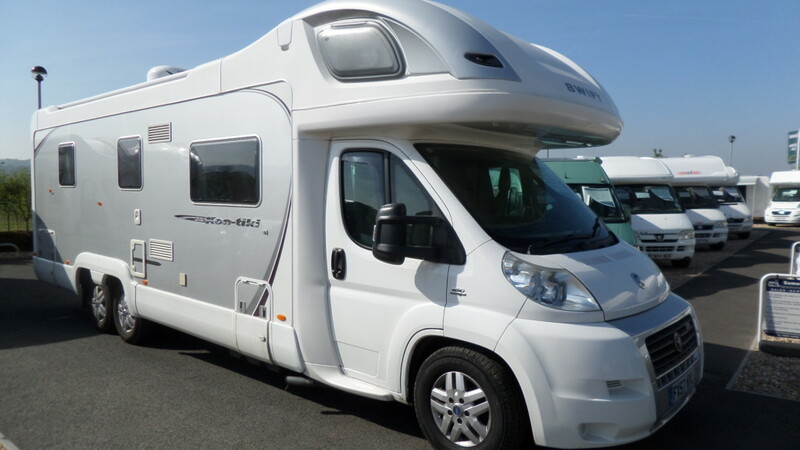 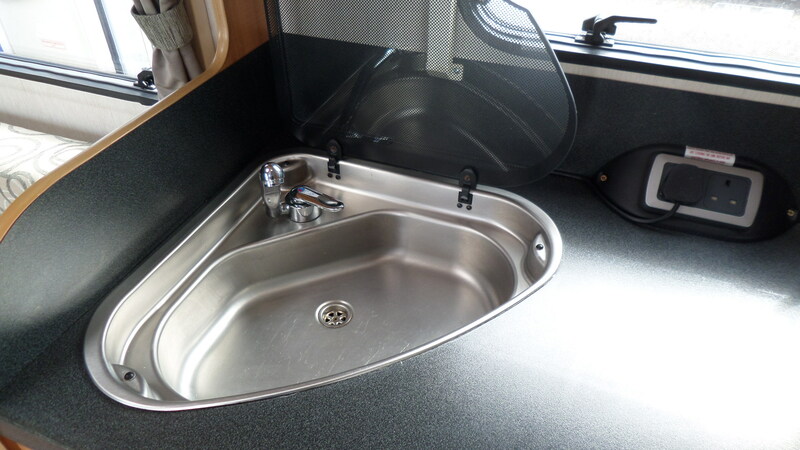 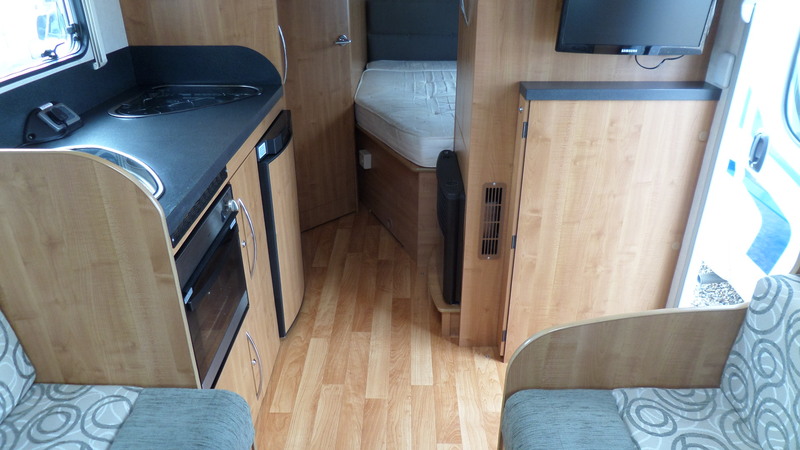 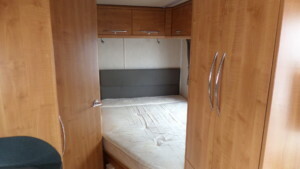 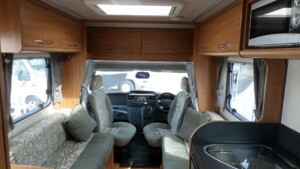 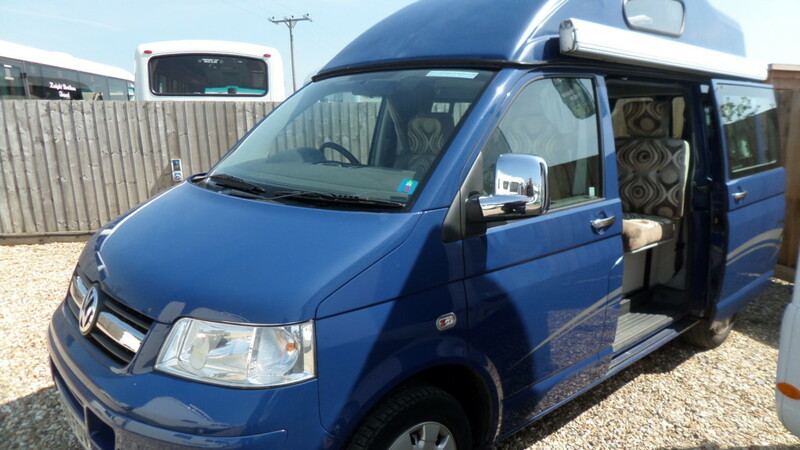 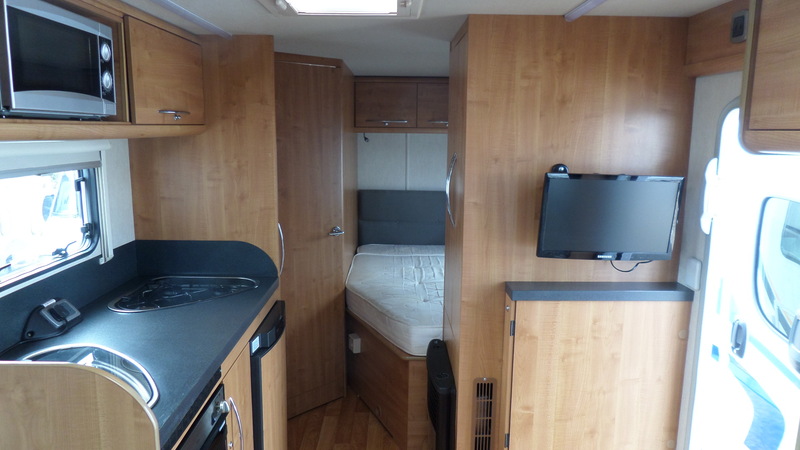 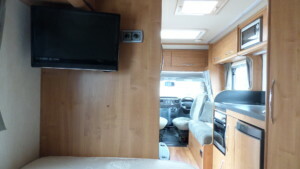 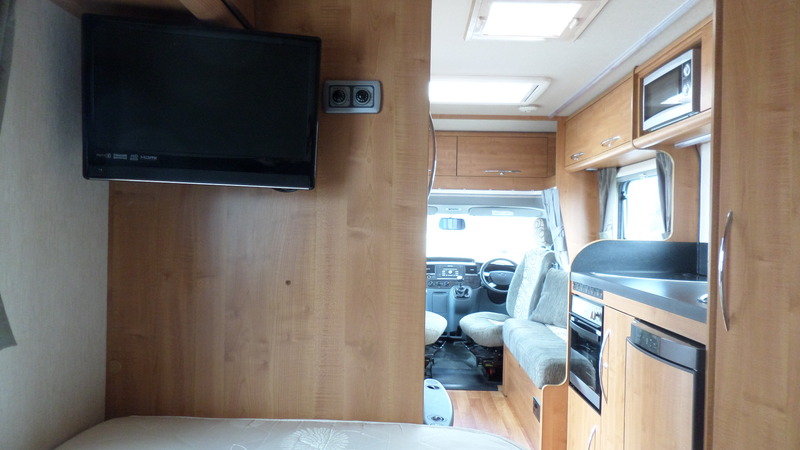 This model also benefits from the addition of several fitted extras including a tow bar, reversing camera and awning.